Hi, I'm Scott Jennings, formerly known in some quarters as Lum the Mad. My day job is as a designer on a cool and froody MMOG for NCsoft you might get to play someday. As a hobby I talk about MMOGs a lot. Some call it "focus." Others call it other terms. It seems that Sony Online Entertainment has seen fit to announce a new executive hire this morning. This isn't particularly noteworthy in and of itself. After all, SOE has been working on breaking into the Asian market for a while, and this would seemingly be yet another innocuous step in that strategy. 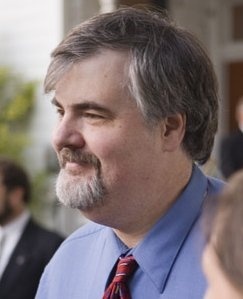 Prior to joining SOE, Christensen served as Vice President of Business Development for IGE where he drove the company's relationships with the massively multiplayer publishing community. Said relationships with the massively multiplayer publishing community being, you know, kinda sorta illegal with 95 percent of said massively multiplayer publishing community. Exceptions include Second Life and Ultima Online. Exceptions not including ... um ... every title published by SOE. One can only wonder how the interview went. "So, how did you drive your company's relations with our community?" "Well, I helped drive efforts in the mass market media to undermine your company's customer service!" "That's great! Would you like to know more about our 401(k)?" It's personally bothered me for a while now that IGE has been able to make any headway at literally purchasing respectability for what is basically online vice. I use that term with great specificity: Vice in the real world is all too common because there's a market for it. But that doesn't make it a good thing for society. And any MMOG player is all too familiar with the corrosive effect of gold farming on a game; I need not repeat that here. Simply log onto WoW and wait for the inevitable emails and tells if you need a quick refresher. Whether or not Mr. Christensen is a valuable asset to SOE's Asian expansion, or whether or not the "secondary market" is a valid part of MMOGs are both arguable (and the latter certainly has been, for years), but this somewhat mind-boggling fact remains: SOE is advertising, via a press release, the valuable work done by IGE, a company which for years has acted directly in counter to their own interests, and in so doing grants them yet another thin veneer of respectability. I'm not sure what the definition of "corporate responsibility" is, but I'm pretty sure it's not this. Scott Jennings is an MMOG designer and guest columnist for The Escapist Daily.